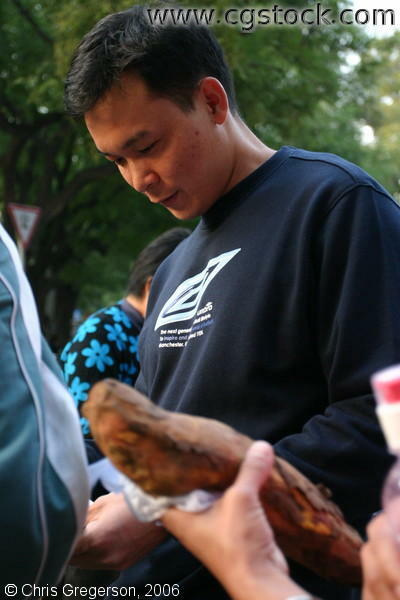 This is my friend, William, buying a baked sweet potatoe on the street in Beijing. He gave some to Arlene, my fiance, but I would not eat any. Arlene is from the Philippies, and used to the water and "street food" in Asia.